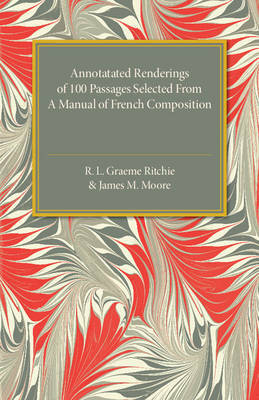 Author(s) Ritchie, R. L. Graeme; Moore, James M.
Originally published in 1921, this book contains annotated passages taken from A Manual of French Composition. The annotations provide comprehensive guidance on aspects of grammar and vocabulary. This book will be of value to anyone with an interest in the French language and the history of education.